There’s such a multitude of panels at PAX East, I’m still trying to wrap my head around them all and decide which ones I definitely want to go to. 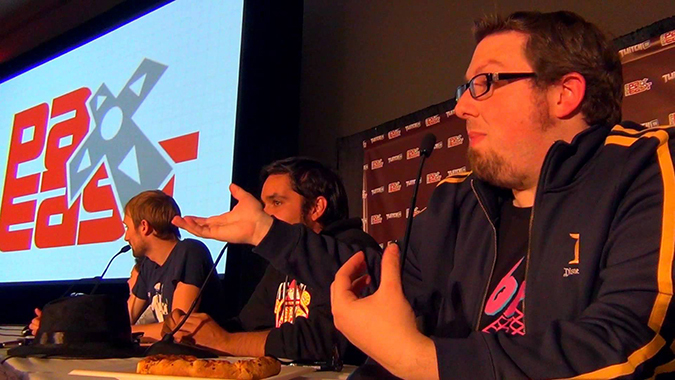 I do have a couple set in stone though; first and foremost I’m definitely looking forward to the Mega64 panel on Saturday night. I first met the ten-years-strong YouTube gaming comedy gang last fall when I attended their GameDays event at Disneyland, and they are awesome people to get to know. And the best place to do so will be at their panel, which is full of hilariously ridiculous song and dance routines, absurd videos, and a very funny Q-and-A. I’d also recommend visiting their merchandise booth during free time if you want some more Mega64 madness (they tend to dance awkwardly at their booth wearing Mexican wrestling masks. And I love it.). I’m especially stoked to see some other favorite gaming personalities I’ve never met before on Sunday, at the OverClocked ReMix panel. David “djpretzel” Lloyd, the founder of OC ReMix who writes reviews of just about every remix uploaded to the website, will be there along with tons of other long-time remixers. The group is expected to tease an upcoming Mega Man 25th Anniversary album, but I hope to see some other upcoming remix projects being announced or discussed. As a lover of video game music, I deeply appreciate the passion that goes into this organization that celebrates its artistry. This is a panel for true lovers of game music, and I can’t wait to see how the group’s speeches and Q-and-A reflect that passion. 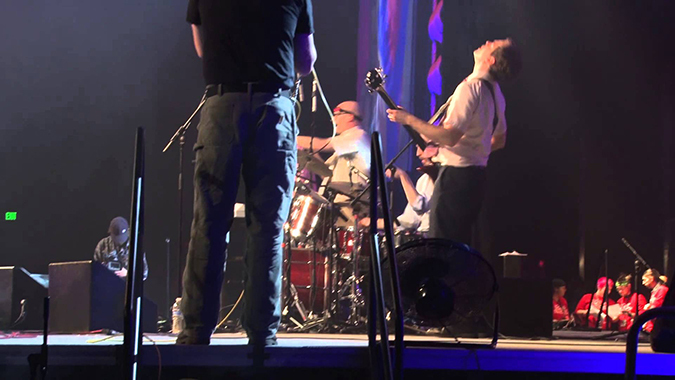 I’ll be honest, when I saw the list of musical guests for PAX East this year I thought the roster was rather lackluster, not because the groups are untalented but because of who will be playing compared to last year – Jonathan Coulton and The Protomen are very tough acts to follow. The lineup is pretty solid regardless, with video game rock groups Bit Brigade, Metroid Metal, and Anamanaguchi taking the stage Friday night; Saturday night will have a variety of acts including the Seattle-based musical geek sisters The Doubleclicks, nerdcore rap’s own MC Frontalot (returning from last year) and The Video Game Orchestra. This year we may not have JoCo or Mega Man rock operas, but still there’s something for everyone on the music scene. I doubt I’ll be playing in any of the tournaments (though I may do the Team Fortress 2 tourney on Saturday for fun). Some of these tournaments will definitely be fun to watch though. I especially look forward to what will surely be a chaotic mess of teams shouting techno-babble in the Spaceteam tournament (on a side note, I love seeing this independent game getting such attention; it’s one of the best iOS/Android apps on the market currently). The biggest tournament highlight is always the Omegathon. This year’s randomly selected teams will compete playing the classic kid’s tabletop game Perfection in round one, Starwhal in round two, and Towerfall in round three. The last event of PAX East, at 5:30 on Sunday, is the Omegathon final round, in which the remaining two teams compete for victory with a strange mystery game. This final match on the main stage should be one for the ages; I expect the crowd’s enthusiasm will recreate the final scene of The Wizard. It wouldn’t be a gaming convention without tons of hands-on gaming booths. Always a highlight of PAX is the Indie MEGABOOTH, and I expect to spend a significant amount of time there. Two games I expect to be very popular there due to lots of press coverage and talk: A Hat in Time, a game inspired by Nintendo 64 collect-a-thon platformers being funded through Kickstarter, and Hotline Miami 2: Wrong Number, the sequel to Dennaton Games’ 2012 hit retro top-down shooter. Taking a quick look at the MEGABOOTH list, I notice a few other games that may tickle one’s fancy. There are quirky games like Max Gentlemen, an “arcade-style extreme manners simulator about stacking hats,” and Robot Roller-Derby Disco Dodgeball, a four-player robot dodgeball battle game with pumping bass and Tron-like visuals. For the adrenaline junkies there’s Distance, a fast-paced “survival racing game” that also looks straight out of Tron. If you’re into puzzlers, Miegakure looks very interesting; your character manipulates objects in a garden by moving into the fourth dimension. This just scratches the surface of what the MEGABOOTH has to offer; stroll around there for a few hours and I’m sure you’ll find plenty of amazing games you may have never heard of before. I’m excited to embrace the old-school gaming scene as well. 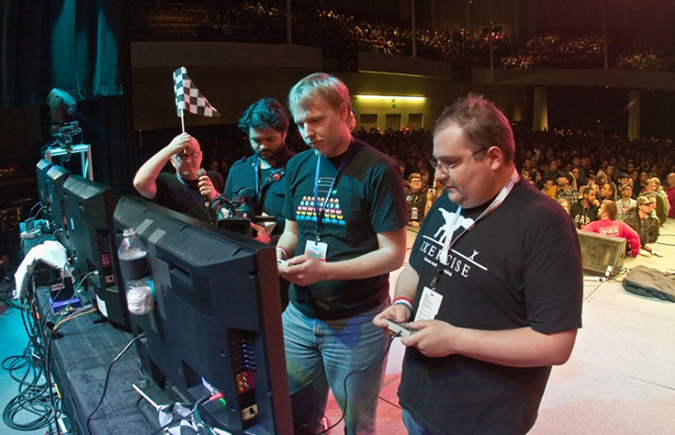 Once again, the American Classic Arcade Museum will be running a booth at PAX East this year. I may be biased having grown up in New Hampshire, the home base of ACAM, but it is truly an amazing organization that celebrates gaming’s roots with countless classic arcade games, all ready to play. There’s no word from ACAM on what arcade games they’re bringing this year, but they promise a true 1980’s arcade experience just like the one they offer at Funspot, their main base of operations. This will make ACAM’s booth worth visiting for an hour or two; it is the booth to go to for gamers like myself who deeply appreciate the history of gaming. I have already gone on too long about what to do at PAX East this weekend, and I only mentioned a handful of things to see and do. Take this piece as a basic guide for things that are worth checking out, but of course if you find any panel or booth you want to see then do it. 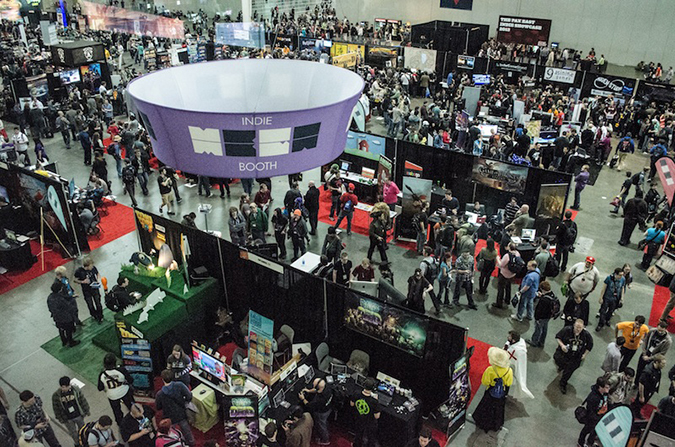 PAX East is all about celebrating every aspect of gaming culture, so be assured that this weekend you will be able to explore every niche of the gamingsphere that you’re interested in. The Minus World is written by Steven Brasley. You can keep up with his thoughts on gaming via Twitter.